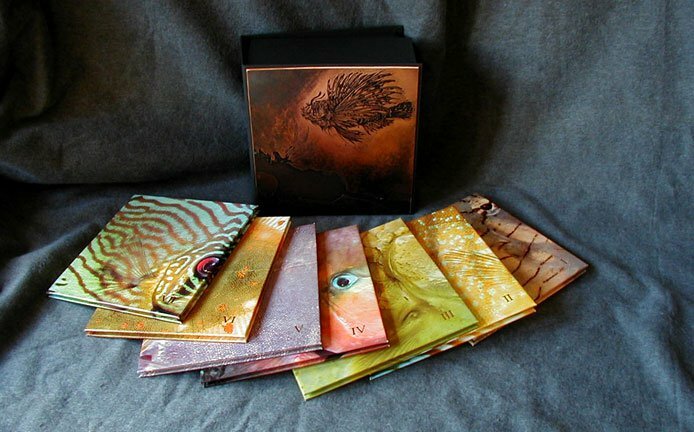 We have done a variety of books over the year for artists. 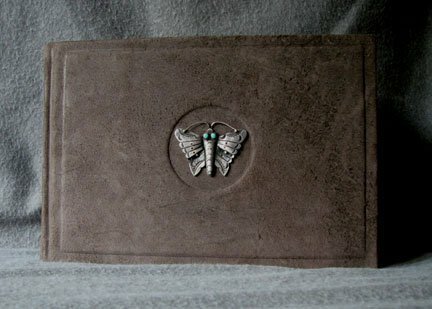 We have also completed some very unique books for customer with raised and recessed cover designs. Do you have an unusual idea? 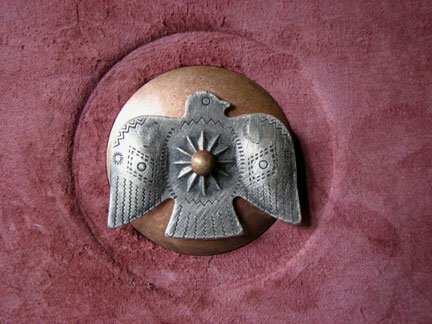 Do you know what you want the cover to look like but don't know how to make it yourself? 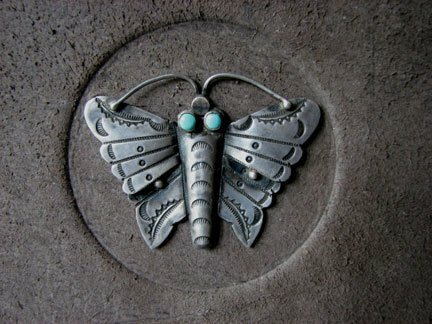 Please contact us to discuss a special, unusual, or one-of-a-kind project. We enjoy these challenging requests! 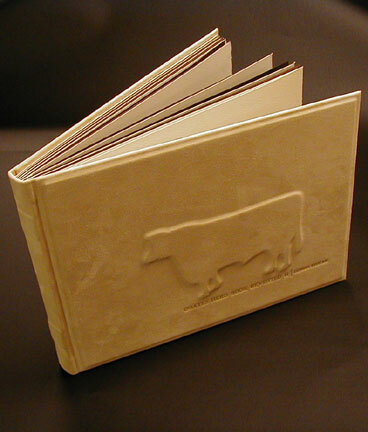 Here are some photos of some memorable and unique books we've created with our customers over the years. 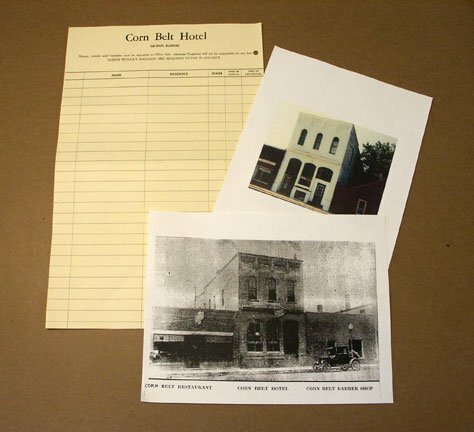 This customer provided us with one page from the original (now missing) guest book from the Corn Belt Hotel...a hotel that had be run by their family. They also provided us with images of the front of the building. 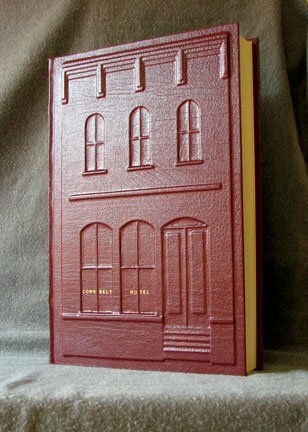 Chris had a new set of pages printed and created an amazing cover for this rather large book featuring a raised image of the front of the hotel. 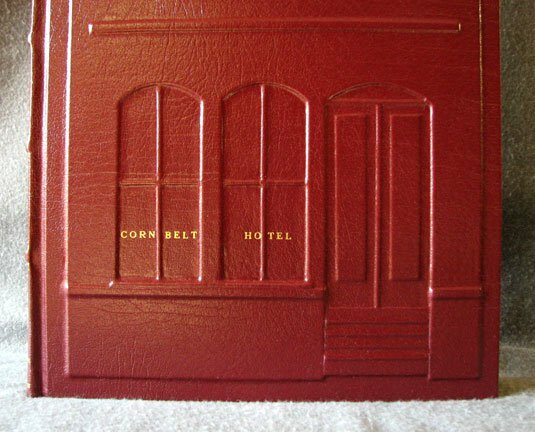 The name of the hotel was stamped in the windows in the same place that it appeared on the original hotel. 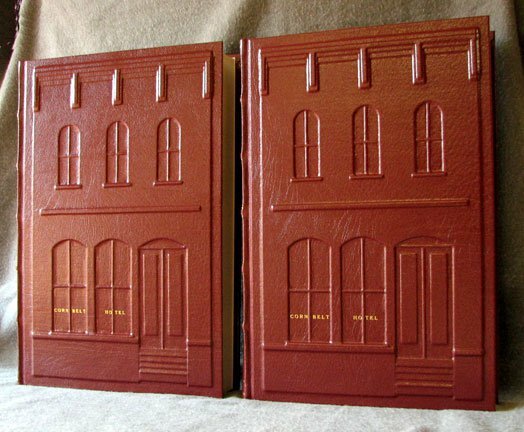 Ultimately, Chris created two matching volumes for this family. 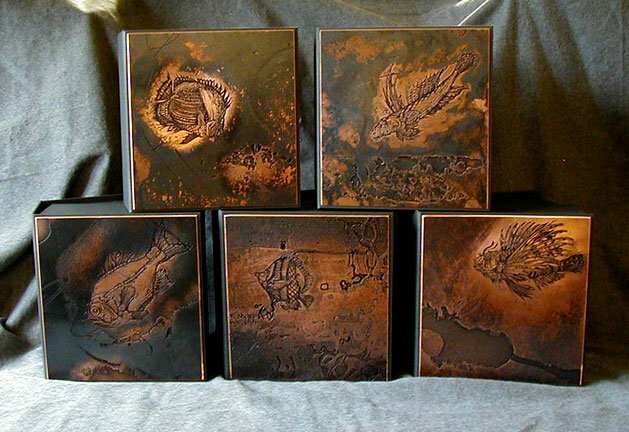 This set of books was created for a local artist. The pages consisted of one-of-a-kind prints and collages. The cover had to be as unique as the contents. 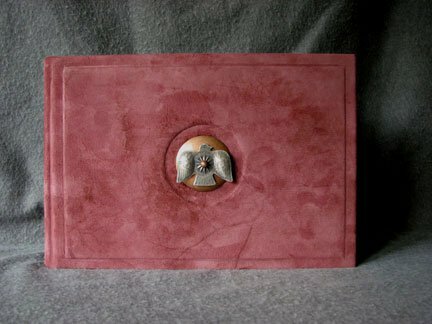 These covers are covered with suede leather with 3-dimensional found-object art pieces permanently-mounted on the front covers. For this project, an artist provided us with colorful images of tropical fish that he had custom-printed on heavy art paper. We turned these strips of images into accordion-fold books. 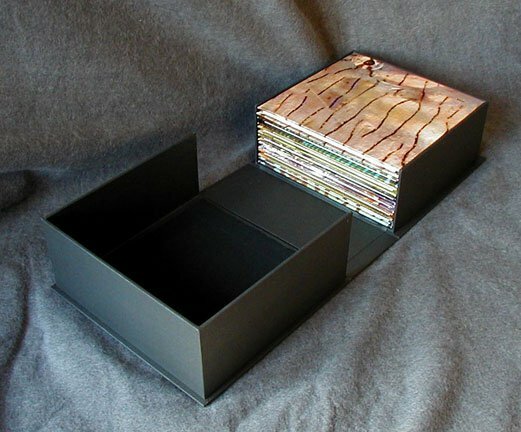 Several sets of these books were made and each set was stored in a custom-made clamshell box. 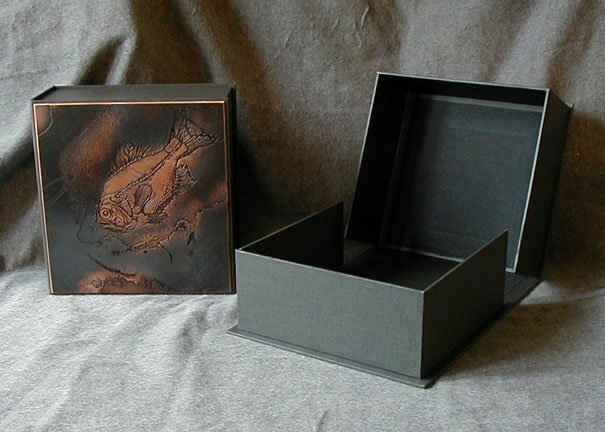 The cover of the boxes featured the copper printing plates used to make some of the prints in the books permanently-attached to the box covers. 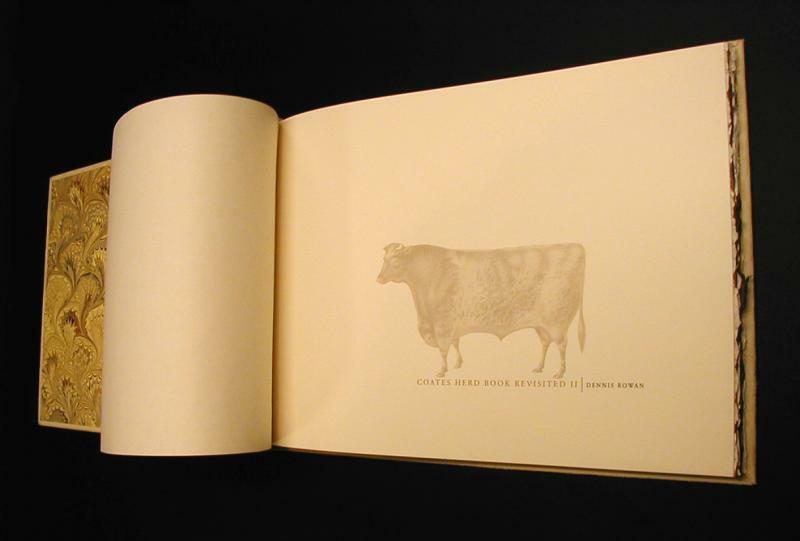 The landscape format book contained handmade prints. 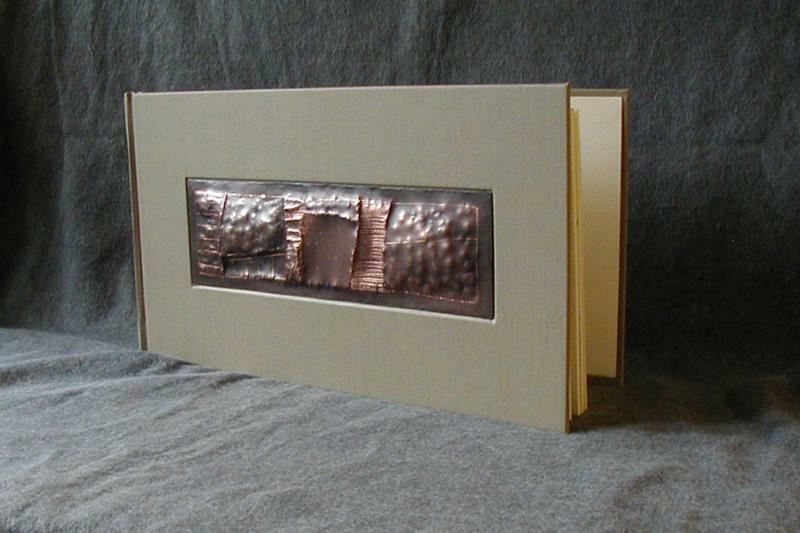 The artist provided us with the hammered copper cover decoration which we permanently mounted on the cover. 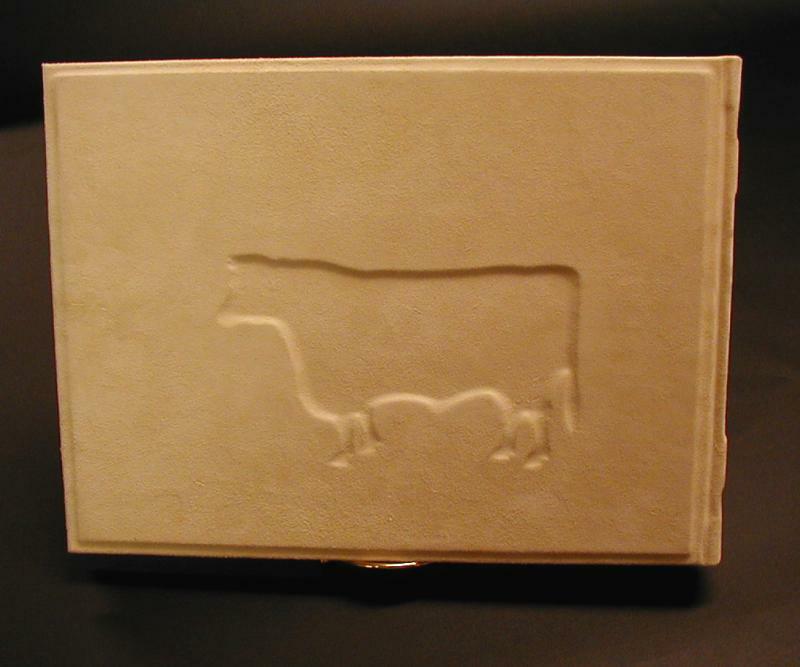 This book of vintage steer images was covered in cowhide. 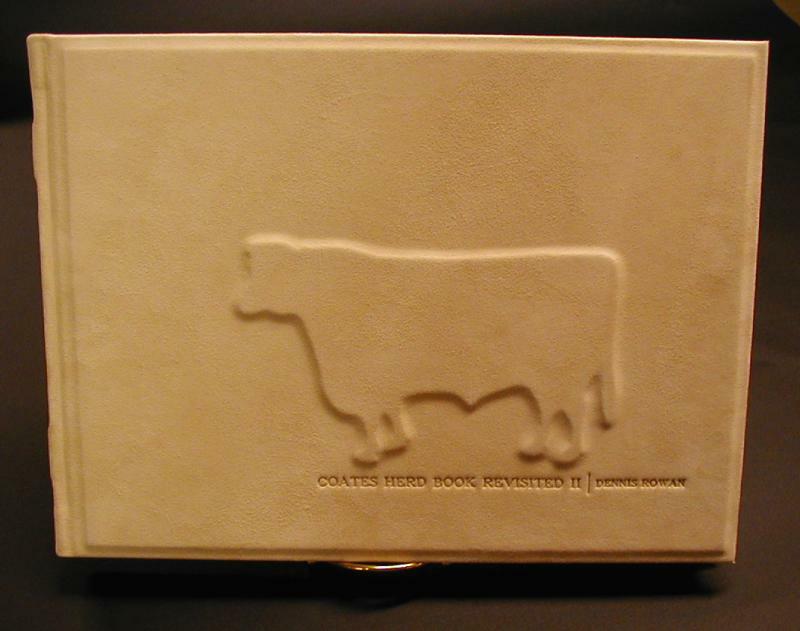 It has a raised bull on the front and a recessed bull on the back cover.